Your Price: $27.00 417 Magazine focuses on the best things in 417-land. We cover music, travel, events, dining, entertainment, restaurants, homes, arts, recipes, dining reviews, Top Doctors, Dentists, Lawyers and anything related to quality of life in our corner of the world. Your Price: $24.95 A magazine written by Southern and Alabama gardeners about gardening in Alabama. Veggies, flowers, lawns, landscaping....no matter what your interests are, if it's gardening, we've got you covered! Your Price: $34.95 You Save: 32% A magazine published in the interest of preserving and restoring the modest American 20th century home, the bungalow, and the rich lifestyle it affords. Your Price: $29.95 You Save: 50% American Farmhouse Style offers the ultimate resource for home enthusiasts looking to capture the spirit of homegrown, welcoming design. 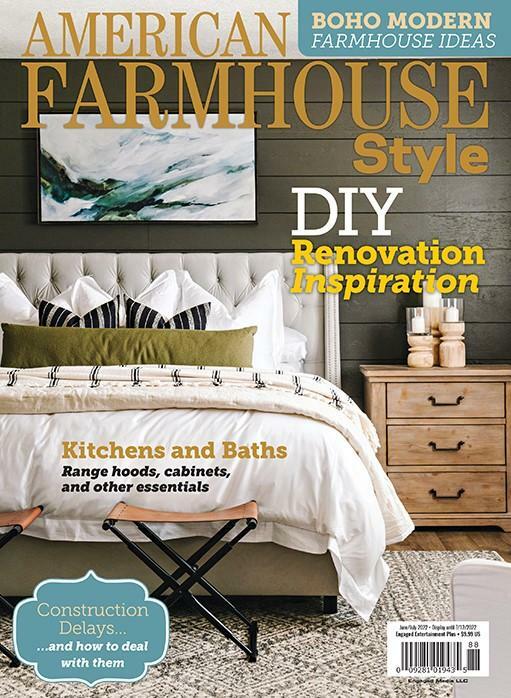 From DIY projects to home tours, readers will love the photos, tips, and inspiration from American Farmhouse Style! Your Price: $59.00 You Save: 45% Architecture is the nations leading professional design publication. Each issue of Architecture brings you the most comprehensive, innovative coverage of design, technology, culture, practice, and products. Your Price: $24.95 A magazine written by Southern and Arkansas gardeners about gardening in Arkansas. Veggies, flowers, lawns, landscaping....we've got it all covered! Your Price: $15.00 You Save: 68% Arkansas' premiere lifestyle mag, featuring homes, design, gardens & more. Your Price: $25.00 You Save: 29% Atlanta's premiere home and lifestyle magazine featuring interiors, gardens, food, wine, remodeling, and travel.